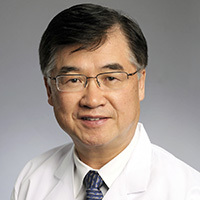 Dong Moon Shin, MD, associate director for academic development at Winship Cancer Institute of Emory University and professor and executive vice chair of the Department of Hematology and Medical Oncology, has been selected to receive a Korean Broadcasting System (KBS) Overseas Compatriots Award in the category of science and technology. KBS, Korea’s oldest media outlet, established the award in 1992 to recognize exceptional individuals of Korean heritage living overseas who have done an exemplary job of promoting the image, people and culture of Korea. Dr. Shin is one of five award recipients this year. Sixty-two people were nominated from 17 countries. A world-renowned expert in head and neck cancer, Shin is a leading specialist in nanotechnology and chemoprevention. KBS will televise an award ceremony featuring the recipients in March 2015.